Every modern car has a central computer which is called an engine control unit or engine control module. For the sake of this article, we will call it an engine control unit. This computer communicates with a series of electronic sensors and components that exist all throughout the vehicle. Based on the information that the engine control unit receives from a particular sensor, the computer activates a particular function for that system of the vehicle. The engine control unit manages everything from the amount of fuel that gets injected into the cylinders to the status of the braking system. If your vehicle’s engine control unit were to ever go bad, you would have a wide range of problems come up. Since this is the unit that controls most functions of the vehicle, you won’t be able to operate your vehicle properly if its central computer is not functioning properly. To avoid this situation, it is best if you can recognize the signs of trouble early on before the symptoms get worse. 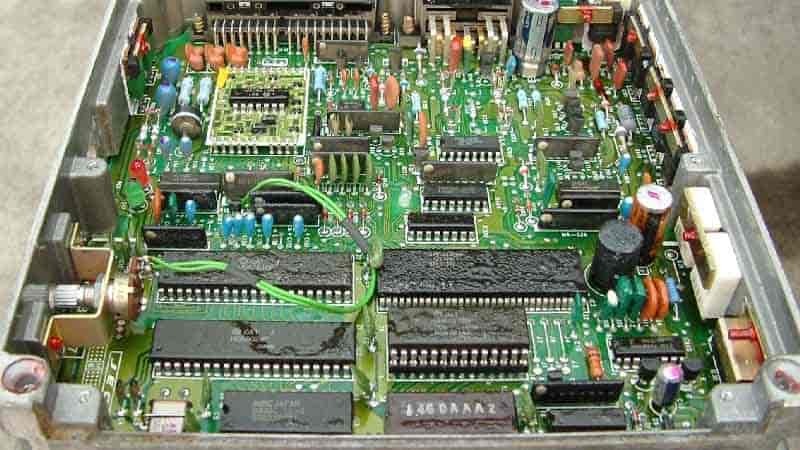 Below are the top 5 symptoms of a bad engine control unit / module in your car. Once you start recognizing any of these, you should take your vehicle to the nearest auto mechanic immediately. 1) Warning Light – The first symptom that you will probably notice is the Check Engine warning light illuminating on the dashboard. There are so many reasons as to why this light would illuminate. All it takes is for one circuit, sensor, or system to malfunction for the warning light to automatically come on. Since the engine control unit is what basically manages the functionality of the engine, any sort of malfunctions with the unit will result in a warning to the driver. This doesn’t mean anything is wrong with the engine itself, which would actually be great news. It is cheaper to fix the engine control unit than the engine. 2) Weak Fuel Efficiency – When you have a malfunctioning engine control unit, it cannot properly manage the internal combustion process in the engine. It may cause the fuel injectors to inject too much fuel into the engine, resulting in reduced fuel efficiency. This will ultimately ruin your fuel economy and force you to take more trips to the gas station. 3) Engine Stalls – You could be driving along and then suddenly have your engine stall. Most people would think their engine is malfunctioning in this situation. However, if your engine control unit is malfunctioning, then it could cause your engine to stall as well. The stalling will not be consistent, but it will happen every so often. It all depends on what is wrong with your engine control unit. If you experience just one engine stall problem, take your vehicle to the auto mechanic. It is not worth waiting to see if the engine stalls again because it probably will. 4) Cannot Start Vehicle – If you are unable to start your vehicle, then you could have a bad engine control unit. The engine depends on certain electronic data from the unit each time it starts up. If the unit cannot provide this data for whatever reason, the engine will fail to start. There could be other reasons for the engine not starting too. But if you experience any of the previous symptoms, then it is more likely an engine control unit problem. 5) Weak Engine Performance – Another terrible symptom of a bad engine control unit is a weakened engine performance. The computer won’t be able to properly manage the timing of your fuel injections and air flow into the cylinders. You may still be able to move your vehicle, but you won’t be able to accelerate it on demand. You’ll step on the gas pedal, but you won’t accelerate as fast as you normally would.